The big advantage of open-source software: you’re never ‘locked’ to expensive commercial software. 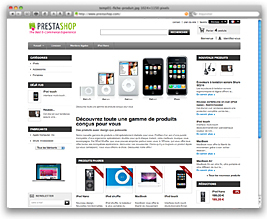 PrestaShop Free Open-Source e-Commerce Software for Web 2.0. I want to used prestashop in my site http://www.agatecambay.com ,help me and give me cost of it.